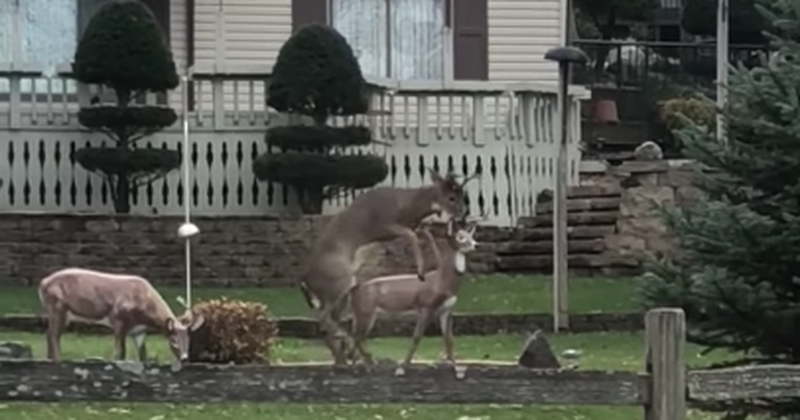 Confused deer gets caught in NSFW act with a lawn ornament – Caraca Maluco!!! Depending on where you live, you may encounter deer from time to time. For the most part, they seem to storm off quite quickly, but that’s not the case here. Apparently, it has wandered its way into someone’s lawn and confused an ornament for one of its own, getting a little frisky with it.